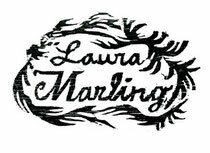 Laura Marling will be releasing ‘All My Rage’ through Virgin Records on April 2nd. This single is taken from her gold selling third album ‘A Creature I Don’t Know’. Laura’s third album follows the success of her sophomore record 'I Speak Because I Can' - both that and her debut 'Alas I Cannot Swim' were Mercury nominated, and last February she won the Best British Female Solo Artist prize at the Brit Awards, and best solo artist at the NME awards. She was also been nominated at this year’s Brit awards as Best Female Artist.